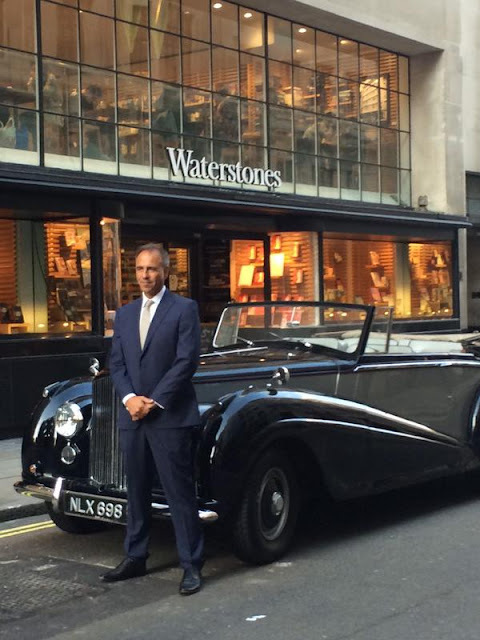 New James Bond author Anthony Horowitz arrived at Waterstones Piccadilly today in a vintage Bentley, presumably a Bentley Mark VI, the car 007 drives in Trigger Mortis. This photo was posted to Twitter by Kate Mills (@Kate7Mills), fiction editor of Orion Publishing. It has become tradition for the new Bond author to arrive at launch events in the car from the book. In 2008, Sebastian Faulks transported the first copy of Devil May Care to Waterstones Piccadilly in a classic Bentley. Jeffery Deaver arrived at the Carte Blanche launch in a new Bentley Continental GT. A fleet of Jensens was a highlight of the SOLO launch event at The Dorchester Hotel in 2013. 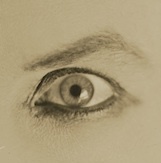 Trigger Mortis will be released in the UK and U.S. tomorrow. Purchase Trigger Mortis U.S. edition. Purchase Trigger Mortis UK edition. 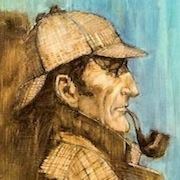 Was there tonight - great evening and what a gent Horowitz is!